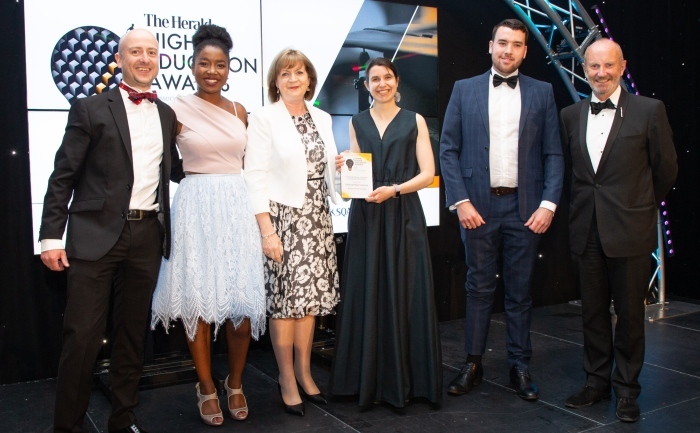 SQA helped celebrate innovative partnerships between employers and Scotland’s universities and colleges at the annual Herald Higher Education Awards. 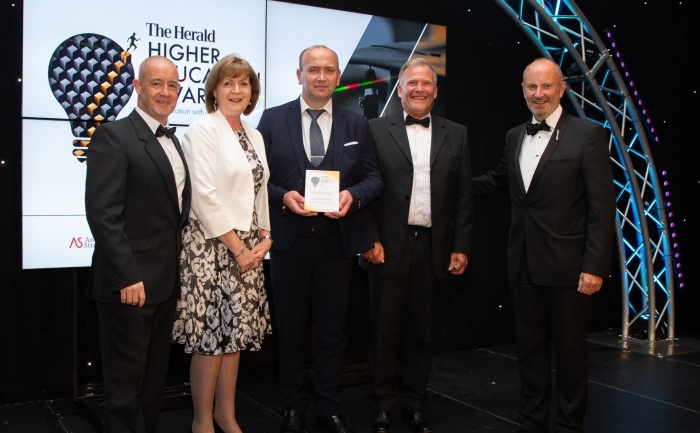 SQA presented the Outstanding Employer Engagement in Colleges and Universities awards at the glittering ceremony, where 13 other trophies were handed to institutions which have shown dedication to improving the learning experience of their students. The finalists in the Outstanding Employer Engagement categories have worked with industry to establish real-life work experience opportunities for their students. Edinburgh Napier University’s Built Environment Exchange Programme offers paid international placements for students interested in a career in low carbon construction, while the Scottish Graduate School for Arts and Humanities engages in mutually beneficial knowledge exchange programmes with organisations in the creative industries. In the College category, West Lothian College impressed with their partnership with Mitsubishi, which sees students work with the car manufacturer in Malaysia as part of the British Council’s Skills for Employability programme. Meanwhile, the experience gained by students studying for Glasgow Clyde College’s Profession Development Award (PDA) in Rehabilitation Technologies benefits their employers in the fields of Orthotics, Prosthetics and Orthopaedic Footwear Manufacture. The awards were presented to West Lothian College and Mitsubushi, and Edinburgh Napier University. SQA's Linda Ellson presents Edinburgh Napier University with their award. For full deatils of all the winners from the ceremony, visit the Herald Events website.